FileFacets has joined the Laserfiche Professional Developer Partner (PDP) program to provide powerful solutions for government, education, financial services and healthcare. Through the PDP program, Laserfiche provides out-of-the-box integrations with leading systems for ERP, CRM, GIS and more. FileFacets’ proven, user-friendly process seamlessly integrates with Laserfiche ECM. FileFacets handles all the aspects of transitioning content into Laserfiche ECM so information workers can focus on value-added activities and services. By digitizing paper archives, Laserfiche enables users to instantly pinpoint the information they need, collaborate more effectively and complete daily tasks more efficiently. Secure web access allows governments to easily share information with other agencies, other jurisdictions and constituents, while comprehensive security options—including Department of Defense (DoD) 5015.2-certified records management—protect information from unauthorized access or release. 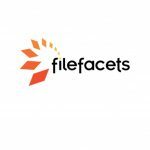 FileFacets is an intelligent migration solution that puts the power of semantic indexing and auto-classification in the hands of end users in an easy-to-use cloud solution. Use FileFacets to automate the classification, attribution and migration of unstructured content to Laserfiche. FileFacets provides Laserfiche resellers and customers a proven, affordable and robust migration solution in one end-to-end solution—ROT (redundant, obsolete, trivial) processing, auto-categorization, auto-classification, metadata attribution, PII (personally identifiable information) processing and much more. For almost 10 years, FileFacets has been used to classify, attribute and migrate hundreds of millions of files across all sectors: federal, state and local government, utilities, oil and gas, finance, construction, and many more. At FileFacets, we understand the value of legacy information and the need to standardize on an ECM system. 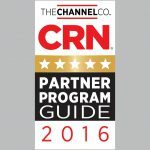 We can help you move your content from virtually any legacy ECM system to your new Laserfiche environment.